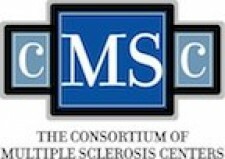 Hackensack, NJ, October 12, 2017	(Newswire.com) - ​The Consortium of Multiple Sclerosis Centers (CMSC), in collaboration with the CMSC Task Force for a Standardized MRI Protocol and Clinical Guidelines for the Diagnosis and Follow-up of Multiple Sclerosis (MS) updated the standardized MRI protocol useful when evaluating people suspected of having MS and for following individuals undergoing treatment for MS. These guidelines evolved from a meeting of the task force comprised of an international group of neurologists, radiologists and imaging scientists with expertise in MS. The group met in Newark, NJ, January 11-12, 2017 to revise and update the guidelines and indications for standardized brain and spinal cord MRI for MS including attention to the use of gadolinium, based on new data, survey results and expert opinion. These proposed recommendations are currently under review in preparation for a manuscript.